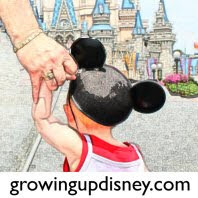 Heather: We traveled to WDW during November 2009 when I was around 20 weeks pregnant with our then 3 year-old son as well as my mother-in-law. It was a great trip and one of the reasons we were back again this year with our 6 month-old baby. I researched on the WDW mom’s panel as well my guidebooks about travel while pregnant. I printed out and highlighted all the rides that I should avoid and carried this with me at each park. I also mapped out locations to rest near bathrooms and tried to plan where we started our visit each day to coincide with a well needed pregnancy break. We choose to stay on property so that if I was tired that I could easily head back to rest. This proved to be a great decision and I went back almost every day for a nap. I found that I was better able to stay awake for the nighttime dinner plans and parades because I had rested during the day. Each day when we were packing our backpack I made sure I packed high protein bars and snacks and plenty of water. I was fortunate that I had not had much morning sickness but was ever hungry during my 1st pregnancy. Going during my 2nd trimester proved to be a honeymoon time to enjoy the parks with energy and stamina to handle the walking. I walked daily throughout my pregnancy which I think helped me handle the miles logged in the parks. I would recommend being able to walk for at least thirty minutes without being winded if you are planning a WDW trip. If doing WDW while pregnant my best advice is use common sense. Plan what you want to see, a daily resting strategy, pack snacks, and make sure you know what to expect on rides. On several rides I just asked a nearby cast member if this was appropriate for pregnancy. They were great to let me know what to expect, allowing an informed decision. Obviously this little guy had a great time on his first trip to WDW. Janine: Last year I was lucky enough to be in the early stages of pregnancy whilst we were at WDW. I say lucky because at the end of the pregnancy we were blessed with our beautiful daughter but I was unlucky in that I felt dreadful for a lot of the time we were on vacation. However, WDW is a wonderful place to be pregnant. Ok, so you can't go on a lot of the rides (the thrill rides) but there are still plenty of things to see and do. In fact for us it gave is a whole new outlook on the parks that Bruce over at UMWDW would be proud of. It made us take our time to look at things and do the attractions that we may not have put first usually. I'll talk about all the positives about being pregnant at WDW first. Although we were there in May and have some super hot days, being Disney there were plenty of places for me to rest and cool off when I needed to. Just because I couldn't ride my favourite attractions such as Tower of Terror and Dinosaur, didn't mean I couldn't go into lovely air-conditioned indoor things such as Philharmagic and The American Adventure. As I was in very, very early stages (less than 8 weeks) I was suffering from all the rotten side effects of some pregnancies such as terrible all day nausea but without the huge belly! All of the rides come with a warning that you should not ride them if you have a various condition. That being said, I am unsure if pregnant women are 'forbidden' from riding certain things or whether it is just unadvisable. I have heard of women riding roller coasters while quite far on but I have not seen this first hand at The World. All of the parks are wonderful to walk about and sit back and enjoy things that you would miss if you were stuck in long lines all day but I personally found EPCOT to be the best for this. Maybe because I love World Showcase and usually we don't spend as long over there as we are trying to get onto Test Track or Soarin'. So I really enjoyed spending real time looking at the different pavilions (and enjoying the a/c!) with DH whilst the rest of the family did their own thing. We also (be ready for 'shock horror') went to The BoardWalk for the first time. Again, as we are usually back and forth between WS and the rides over in Future World, we had never found time just to quietly meander into The BoardWalk, and boy were we glad we did! What a pretty place and the food!!! One of the best sandwiches I've had at Disney was from the bakery. So what would my top tips for being pregnant at WDW be? 1. Make sure if you go peak season and therefore during the hottest months, make sure that you have plenty of loose, cool clothing and drink even more than usual. I carried my own water bottle with me as I do not mind the slightly odd tasting water from the fountains as well as making sure I had huge drinks from the vendors. This was one time I did not mind spending mega dollars on refreshment. 2. This goes hand-in-hand with the above, make sure you know where the restrooms are! Pregnant women are renowned for constantly needing the bathroom and I could soon wander off for a super quick stop before anyone knew I was gone! 3. Wear sensible shoes and be prepared to have to change them if need be ... I've ALWAYS worn sneakers and never had a problem. However, whilst pregnant, my feet were so swollen and bloated that I had to borrow most unflattering slip on things from my MIL! 4. Chose where you eat carefully. I had gone to the US with the hope of eating as much pizza and candy as I liked, ha, I was gonna get fat anyway so may as well stuff my face silly. My body had other ideas and I would often feel sick at the restaurant and just want carbs. So don't go to expensive places where you'll pay a fortune and eat very little. 5. Go with the flow. If one day you're too tired to do much, then don't. While the rest of the family went out for meals and shopping, DH and I stayed in the villa as I was too sick/too tired to do anything and did not want to spoil everyone else’s day. If you're a frequent visitor, or have been a few times at least like us, then you don't mind missing a couple of things, knowing it's better to rest up and it's a good excuse to do it next time! You've got an excellent blog here. Thanks for your great tips.